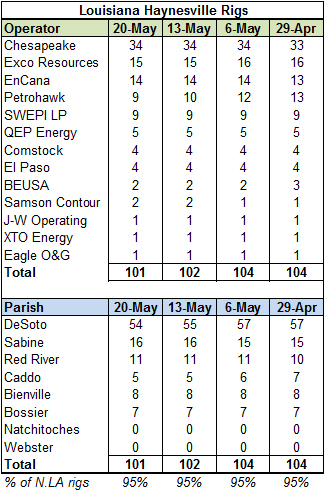 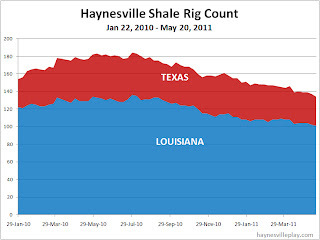 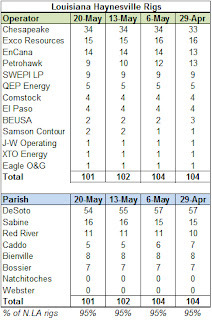 The weekly Haynesville Shale rig count dropped three rigs to 134. 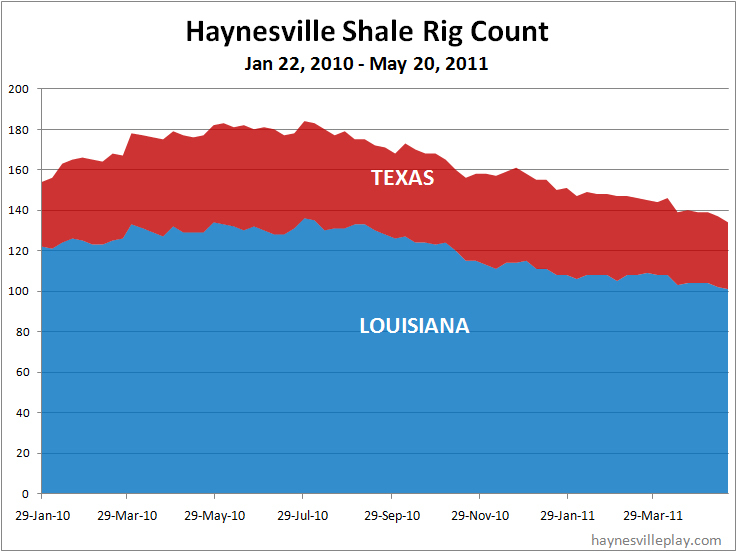 In the past two weeks, the count has dropped by five rigs. 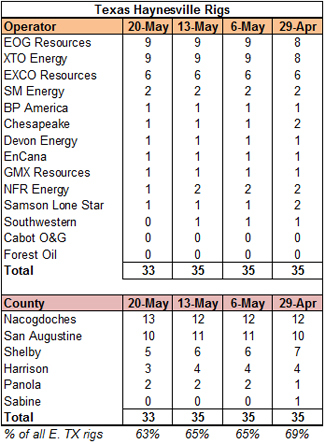 There was very little reported activity in the area, especially Louisiana, so expect more activity next week. 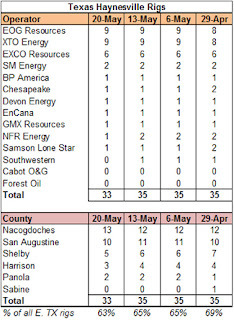 Spreadsheet lists and maps have been updated.